Free Shipping on all orders over $60. Australia only. A salon’s success is based around producing vibrant long-lasting colour results that leaves the client’s hair in great condition. RPR Mycolour is in my opinion the best Australian colour on the market. It delivers premium results and is at an amazing value price point. As a small business owner, I am faced with many challenges and decisions to ensure my salon is successful. Choosing Mycolour and RPR retail and basin products was one of my great choices. I am working with a family owned business that cares. I am not too small for them and I feel a part of the RPR family. I’m happy to recommend Mycolour and RPR! RPR Reconstructing colour system delivers the superior results our clients expect. The colour is vibrant, and the hair is left in great condition with shine. The colour delivers great value which converts into more profits for my salons which is key to any successful business. The RPR team are dedicated to working with my salons and provide exceptional service and support. With 13 years in the industry I have used so many colour ranges, RPR has topped all other ranges by far. The company themselves are an incredible support to the salon, from the company's reps to the killer team smashing our orders out every week. As a salon owner, great quality colour is key to a thriving business and Mycolour ticks all the boxes. Colour work is my passion and I am able to achieve desired results without hesitation. My loyalty stand with RPR & Mycolour. Five stars. I am a firm believer of you never stop learning. Working hand in hand with the RPR team, all my hairdressing staff no matter what their level of experience, get all the technical support and creative inspiration they need. I love the vast array of products on offer and looks our teams can create. From classic to contemporary, RPR has our needs covered. I was searching for a professional full-service company that gave me great customer service and cared, and I have finally found it with RPR. Comprehensive range of products catering to my diverse clientele, attentive staff, value for money products, prompt delivery and a team that cares. They are a great company to work with. As the Operations Manager of a beauty and hairdresser wholesaler, introducing the Mycolour range was a decision based on quality, service, amazing value and creative freedom. The colour range delivers fantastic long-lasting results and our customers love using it. It is uncomplicated, on trend and the hybrid nature allows maximum creativity whilst keeping inventory to a minimum - saving costs. 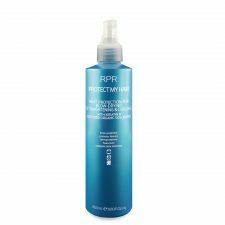 RPR’s retail range is also ideal, meeting all our client’s shampoo, conditioner, treatment and styling requirements. Bringing the RPR, Mycolour, Salon Only and AMIPLEX ranges into CSS was one of my best decisions. Our New Zealand salons just love them. The ranges provide us with quality products at great prices, on-going training, education and technical support. They are a ‘one-stop-shop’ with full retail, basin, and colour ranges. Mycolour is now our best-selling colour. We just love them. As the owner of 3 large hair and beauty wholesalers, choosing the right products to stock is key to our success. With RPR you don’t need to pay excessive prices to get premium quality hair care products. 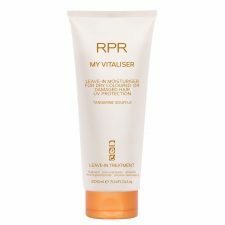 The RPR Mycolour range is one of our bestselling hair colours we have in store. The rich tones, on-trend colours and incredible hair condition keeps my clients coming back for more. Teamed up with the RPR and AMIPLEX retail/basin range, RPR offers everything our clients need. As a keen advocate of environmentally friendly products it is refreshing to work with RPR. Cruelty free, recyclable packaging, botanical extracts and earth embracing they tick the right boxes for me. They have the products that work and a team that cares. My staff and customers just love it! 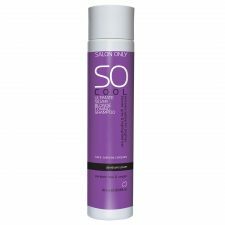 I love Salon Only’s Australian Native Botanical flavours and its superior keratin qualities. My client’s hair is left in amazing condition and the products smell divine. We have also recently converted our colour range over to RPR Mycolour and we haven’t looked back.